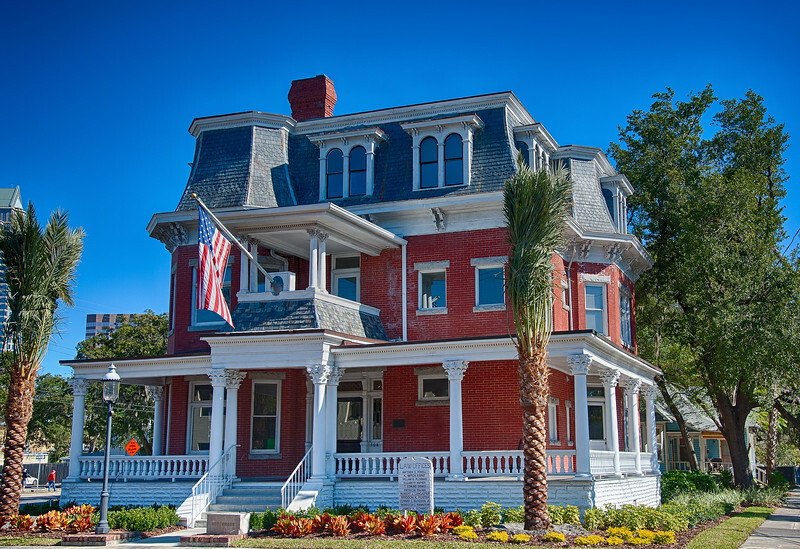 The Hutchinson House, completed in 1908, in Tampa, Florida, is a three-story brick building in the Second Empire style of Victorian architecture. The third floor is contained inside the mansard roof. The mansard roof is made of slate. Each slate shingle was cut by hand, and has lasted over a century. The Hutchinson house has been through 100 years of hurricanes, heat and cold, and still remains in excellent condition.